In the beginning is the word, and we write for ourselves. Secret notebooks stashed in backpacks, odd scribbles on napkins or the back of a shopping list. Sometimes a string of words so bright we repeat and repeat them hoping the glamor of it won’t fly off before we can net the wild thing on paper. That’s how it begins. 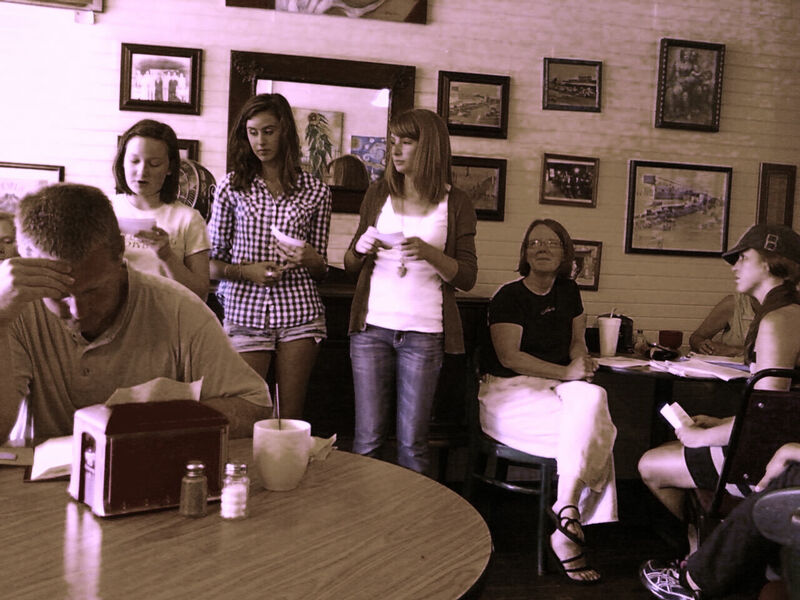 Then we gather large stories in small rooms, tentatively sharing what we’ve written. That’s the next step, and the one that binds us to each other as writers. We grow into our voices and become fearless on the page. Finally, we go out into the world. This time, family and friends in a familiar place so all this bravery has elbow-room and a soft place to land. 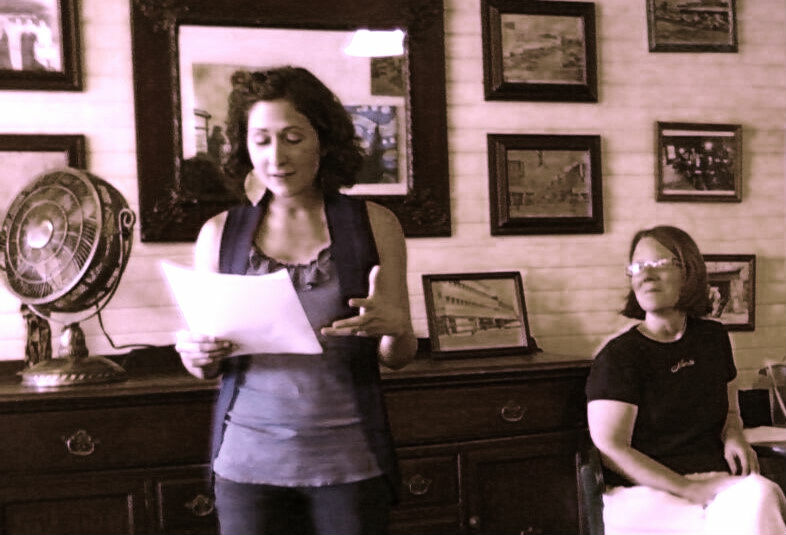 There’s a certain alchemy in hearing your voice read aloud the words you’ve written, and to see an audience rapt. For you. Next time, we’ll fling poems and stories even wider, because we can. Top, left to right: Jennie Strange – Blackbird Academy executive director, Amy Ness – art instructor. Middle, left to right: Laura Craig, Hannah Laws, Mary Margaret Hambuchen. 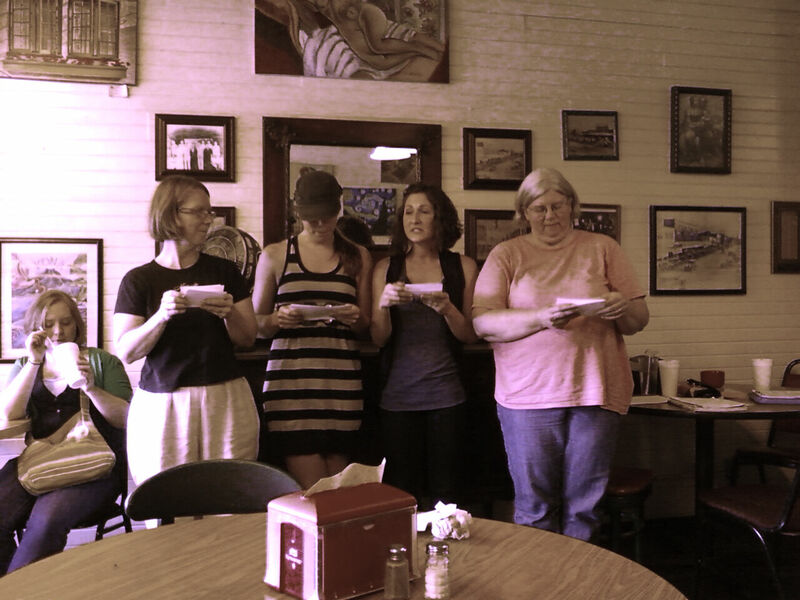 Bottom, left to right: Amy Ness, Tara Walls – dance instructor, Jennie Strange, Pam James. Special thanks to Something Brewing for welcoming us and for having iced coffee on such a hot evening.